Grand Hall can be divided into four separate configurations. Equipped with state-of-the-art technology, Grand Hall is the ideal location to hold a conference or meeting. The Magnolia Room can be used for a banquet, lecture, reception, classroom, or conference. It contains a sound system, projector, screen, and podium. 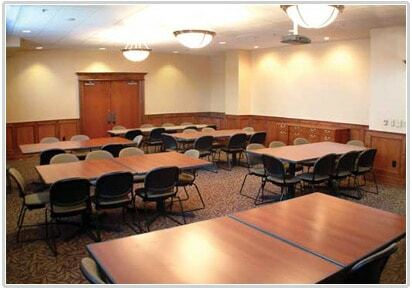 The President’s Conference Room can be used for those smaller groups that want a more intimate setting. Foundation Hall is the perfect place to host your next lecture or presentation. 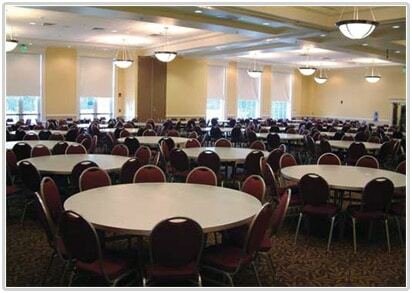 With room for 200 people, Foundation Hall provides a spacious and comfortable setting for most events. The Donald W. Reynolds Campus and Community Center is decorated with over 70 original works of art from local and regional artists.